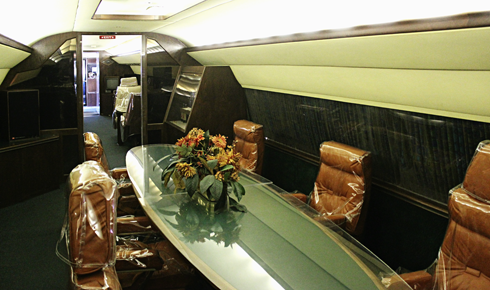 On April 17, 1975 Elvis Presley bought a former Delta Convair 880 jet airliner that he christened the Lisa Marie after his daughter. 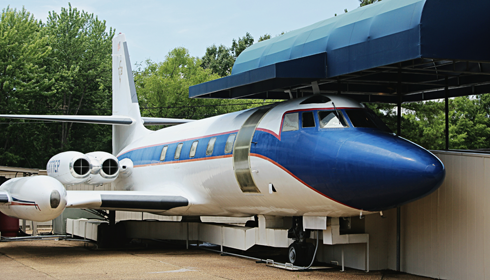 It became his Graceland in the sky after hundreds of thousands of dollars were spent customizing it to his particular style. 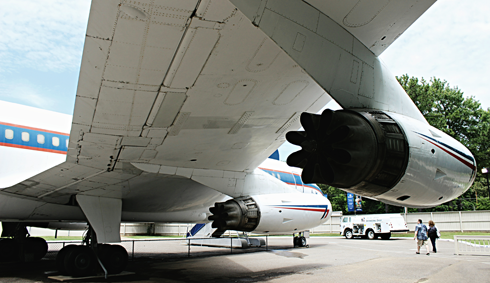 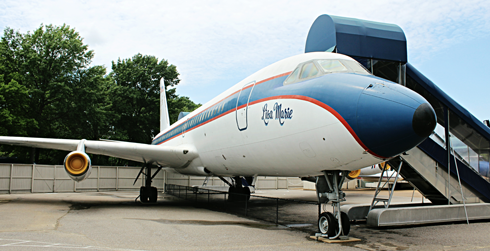 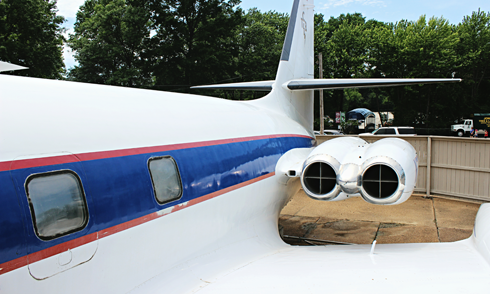 Today, the Lisa Marie and Hound Dog II, two of Elvis' former planes, are on display at Graceland in Memphis, Tennessee. 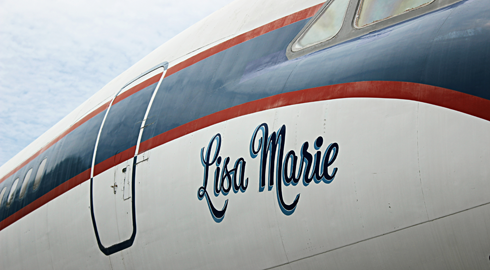 For its time the Lisa Marie was one of the finest privately owned planes in the world. 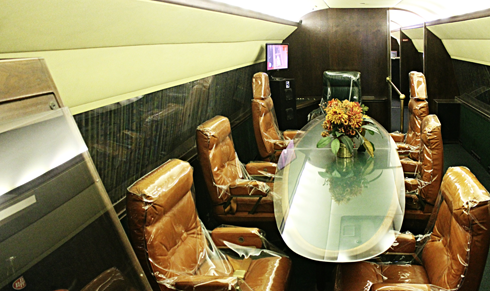 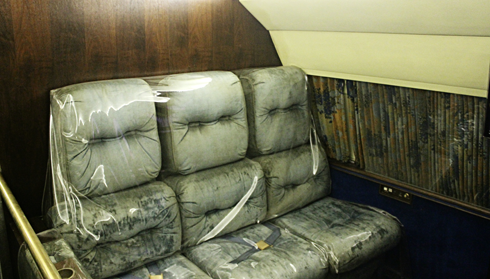 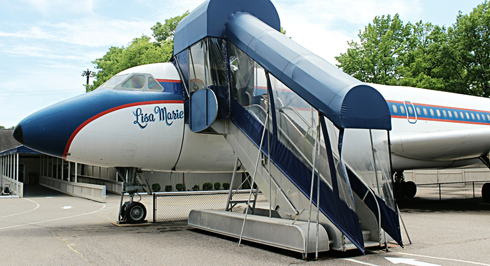 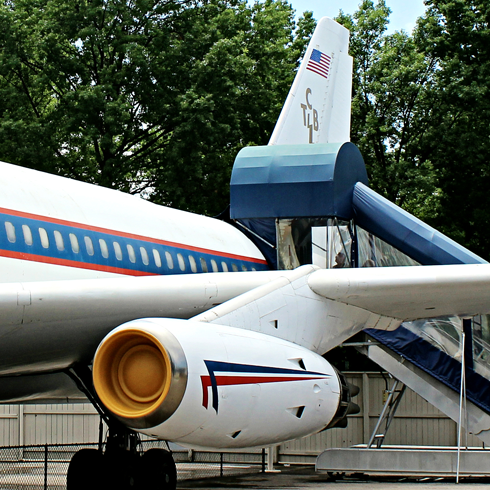 Featuring plush sleeping quarters, gold plated seat belts, a videotape system linked to onboard televisions, and a stereo system with 52 speakers, there's no doubt that the Lisa Marie made flying fun for Elvis and his guests. 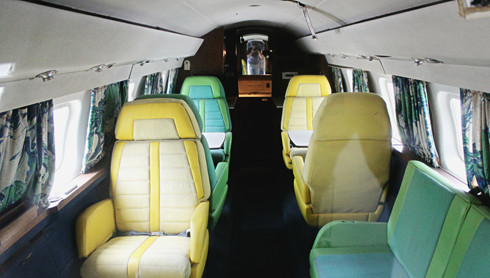 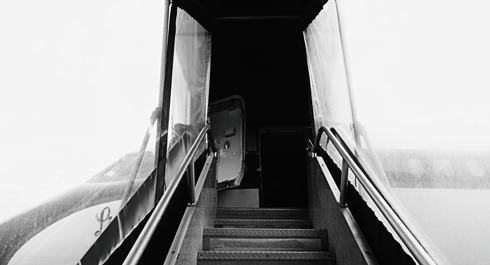 Scroll down to explore the interior of these two airplanes. 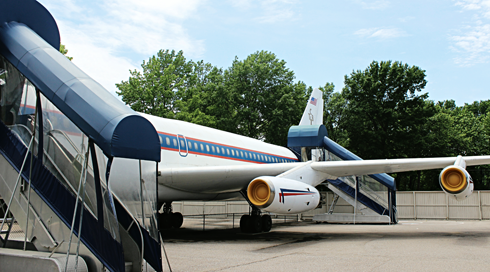 More from Elvis Presley's Graceland here. 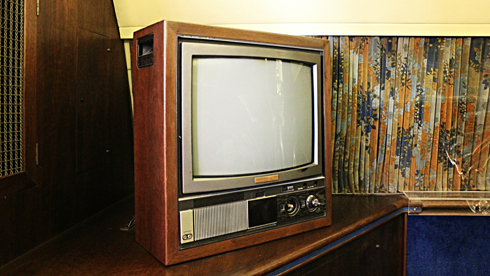 One of four onboard televisions. 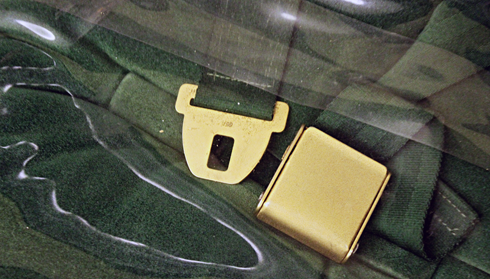 Gold plated seat belts on the Lisa Marie. 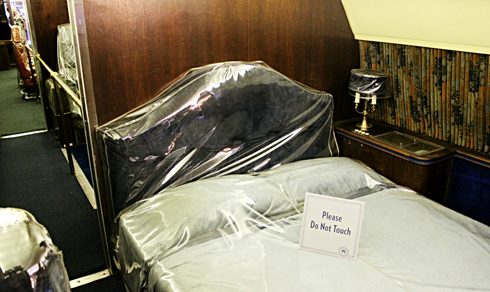 Elvis' bed on the Lisa Marie. 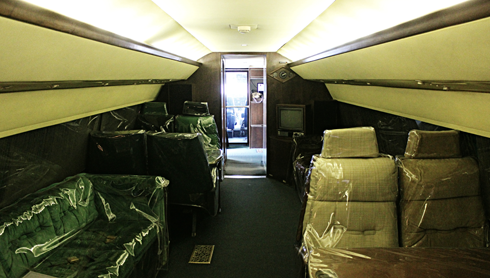 Elvis' JetStar aircraft named Hound Dog II. 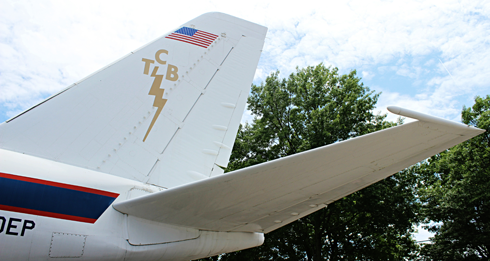 Exterior of the Hound Dog II. 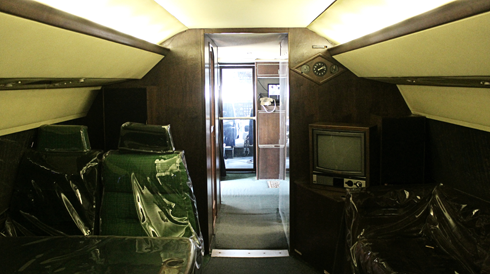 Looking towards the cockpit in the Lisa Marie. 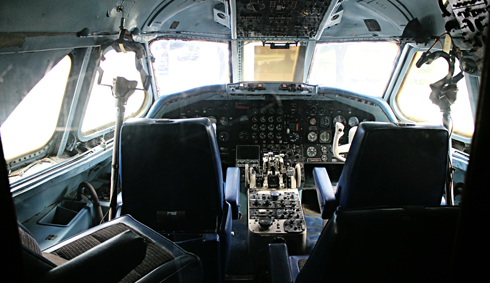 Cockpit of the Lisa Marie. 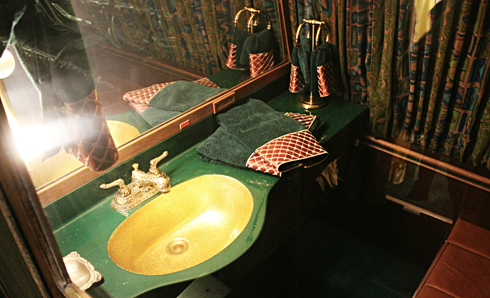 Gold fixtures in the bathroom of the Lisa Marie. 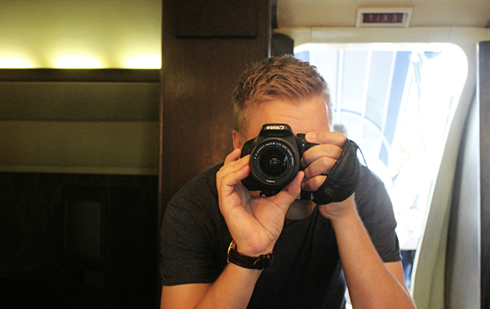 A quick snapshot of myself in one of the mirrors on the Lisa Marie.